As mentioned in the last installment of this series, silence in various forms can be just as potent a propaganda tool as words or images proper. Variations of this tactic were presented as were examples of successful and unsuccessful attempts at its utilization. This last week a news story appeared that illustrates one of the major types of failure associated with this tactic and it is one that is every more likely and hard to avoid in the Information Age. This type of failure is known colloquially as the Streisand Effect; whereby an attempt to hide or remove a piece of information has the unintended consequence of publicizing the information more widely, usually facilitated by the Internet. 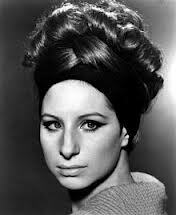 Named for singer Barbra Streisand, it is a modern term for an old phenomena. Similar to the meme of “Banned in Boston”, it revolves around the idea that forbidden fruit is the most tempting and that banning or censoring something often makes that item or information more desirable. Babs got her name attached to this propaganda phenomena when in 2003 she attempted to suppress photographs of her residence and inadvertently generated further publicity. This publicity was notably “improved” – although if you’re Babs you might say “exacerbated” – by the World Wide Web. This week’s story involves the GOP attempting to suppress a non-partisan tax study that debunked their entire Ayn Rand/neoconservative taxation mythology that catering to the wealthy creates jobs. It provides an interesting case study in the Streisand Effect. It also raises some interesting questions about political culpability and consequences. Since silence is a tactic of omission and lies of omission are still lies, what should be the consequences for politically falling on your own sword (unintentional or not) in the form of the Streisand Effect? For other forms of political lies for that matter? First, let’s consider this week’s event in detail. The Congressional Research Service (CRS) has withdrawn an economic report, originally published on September 14, 2011 that found no correlation between top tax rates and economic growth – a central tenet of conservative economic theory – after Senate Republicans complained about the paper’s findings and wording. For those of you unfamiliar with the Congressional Research Service, they are a non-partisan offshoot of the Library of Congress and they prepare such reports at the request of lawmakers. Although the reports are posted on the service’s Web site, the research is considered private. This particular report entitled “Taxes and the Economy: An Economic Analysis of the Top Tax Rates Since 1945” was prepared by Thomas Hungerford, a specialist in public finance who earned his economics doctorate from the University of Michigan. CRS reports such as this are available only to members and staff as a general rule and their public release is subject to lawmakers’ discretion. However, as noted by the New York Times, “the Hungerford study was bound to be widely circulated. It emerged in the final months of a presidential campaign in which tax policy has been a central focus.” As expected, the report received wide notice from media outlets and liberal and conservative policy analysts when it was released on September 14. Unfortunately for the GOP, they had the problem of “Mr. Romney, the Republican nominee, maintain[ing] that any increase in the top tax rates on income and capital gains would slow economic growth and crush the job market’s recovery.” Again unfortunately for the GOP, the report found a conclusion that completely undermined the central premise of their tax policy as espoused by their candidate. However, the top tax rate reductions appear to be associated with the increasing concentration of income at the top of the income distribution. As measured by IRS data, the share of income accruing to the top 0.1% of U.S. families increased from 4.2% in 1945 to 12.3% by 2007 before falling to 9.2% due to the 2007-2009 recession. At the same time, the average tax rate paid by the top 0.1% fell from over 50% in 1945 to about 25% in 2009. Tax policy could have a relation to how the economic pie is sliced—lower top tax rates may be associated with greater income disparities.” – Taxes and the Economy: An Economic Analysis of the Top Tax Rates Since 1945, p. 16. The decision to withdraw the report was made against the advice of the agency’s economic team leadership on September 28. In other words, Mr. Hungerford and the economic research team stood by the work and the CRS management quashed the report because of pressure from the GOP which “questioned the methodology” and “other flaws”. What problems with methodology? Well the GOP was kind of vague on that issue. They say Hungerford was “looking for a macroeconomic response to tax cuts within the first year of the policy change without sufficiently taking into account the time lag of economic policies. Further, they complained that his analysis had not taken into account other policies affecting growth, such as the Federal Reserve’s decisions on interest rates.” Just because the GOP says that does not make it so and the burden of proof rests with them just as the burden of defense rests with Hungerford. Being that the GOP used political pressure on the bosses at CRS to repress the report though, that kind of makes having a public airing of the alleged methodology problems moot. Or so the GOP wanted to think at the time – things may not be working out that way. As to the alleged other flaws? “Aides to Mr. McConnell presented a bill of particulars to the research service that included objections to the use of the term ‘Bush tax cuts’ and the report’s reference to ‘tax cuts for the rich,’ which Republicans contended was politically freighted” reported the New York Times. In other words, the GOP objected to calling tax cuts to the wealthy instituted by the Bush administration exactly what they are because they felt the words were value loaded. Uh huh. One need not even have read the previous installments in this series to know that tactic reeks of the Rove Maneuver: smear your target with your own sin. Accuracy in a term is not loaded language – the tax cuts for the rich originated with Bush – but trying to make it seem as if accurate terms are loaded language is simply a false equivalence, i.e. simply another lie. However, almost no notice of the CRS withdrawal of the paper was taken at the time. Senator Charles E. Schumer, Democrat of New York, cited that very study in a speech on tax policy at the National Press Club. A week and a half after it was officially withdrawn. The paper was by the time the GOP attempted to suppress it the proverbial horse that was out of the barn. Of course, none of this post-horse escaping barn door closing action really took place if you ask the GOP. Republicans did not say whether they had asked the research service, a nonpartisan arm of the Library of Congress, to take the report out of circulation, but they were clear that they protested its tone and findings. Sure they did. That’s why the reports author stands by his work and the report was withdrawn over the objections of the CRS’ economic team leadership. Here is where the Streisand Effect takes hold. What was a story from some months ago of fading significance to the Presidential campaign in these final hours is now a story about politicians actively trying to suppress information that shows their policies are castles made of sand. They are trying to silence facts that show their policies are wrong-headed and flawed. They are trying to hide that they are lying to you by creating a lie of omission. It’s a funny thing about lies of omission though. They work better if you use the tactic before or at the onset of the “problem” you wish to silence. This post hoc ham-fisted effort by the GOP Senators is blowing up in their face because they tried to cover the report up where if they’d just let it be? Sure, it would have come back to bite them, but at least they wouldn’t look like draconian dictators trying to keep information from the public for purely political reasons. There has been some blowback on the Hill. Senator Schumer said, “This has hues of a banana republic. They didn’t like a report, and instead of rebutting it, they had them take it down.” Representative Sander Levin of Michigan, ranking Democrat on the House Ways and Means Committee, said, “When their math doesn’t add up, Republicans claim that their vague version of economic growth will somehow magically make up the difference. And when that is refuted, they’re left with nothing more to lean on than charges of bias against nonpartisan experts.” “Jared Bernstein, a former economist for Vice President Joseph R. Biden Jr., conceded that ‘tax cuts for the rich’ was ‘not exactly academic prose,’ but he said the analysis did examine policy time lags and controlled for several outside factors, including monetary policy.” Bernstein added “This sounds to me like a complete political hit job and another example of people who don’t like the results and try to use backdoor ways to suppress them. I’ve never seen anything like this, and frankly, it makes me worried.” This blowback is due in no small part to this particular episode being part of a larger pattern of behavior on the behalf of the GOP to discredit other reseachand statistics that were once trusted as nonpartisan and apolitical such as figures produced by ehe Bureau of Labor Statistics, the Congressional Budget Office and the privately run Tax Policy Center. At this point in time, Janine D’Addario, a spokeswoman for the Congressional Research Service, would not comment on internal deliberations over the decision and confirmed that the report was no longer in official circulation. But there is the rub in the Information Age, isn’t it? Once information is released it takes on a life of its own when dealing with distributed networks. Copies get made and passed along. History becomes less malleable by those in power when information is free. When the horse has left the barn, closing the door is not only a futile act, but it can be destructive. Ask not for whom the Babs sings, she sings for thee, GOP. You lot should have left well enough alone, but nooooooooooooo! Got to exercise your “power”. Simpletons. And the sad, sad part of this sad, sad tale is if I went through and changed the subject matter of the report and the names and teams of the players, every single one of you wouldn’t have a hard time believing that such shenanigans were being played upon the People and with the facts of the matter. This story isn’t just a story of partisan ills and malfeasance, but a story of another systemic ill based in both propaganda and the corruption that is modern campaign finance where Senators seek to lie to you blatantly to appease their wealthy donors over looking out for your best interests as citizens. When manifest attempts like this to lie to the public are discovered, the political question becomes what should be done about it and who should be punished for abusing the public trust in the name of political expediency (and greed as in this particular case)? Do we as a society have a duty to democracy to make enable the Streisand Effect on stories such as this? 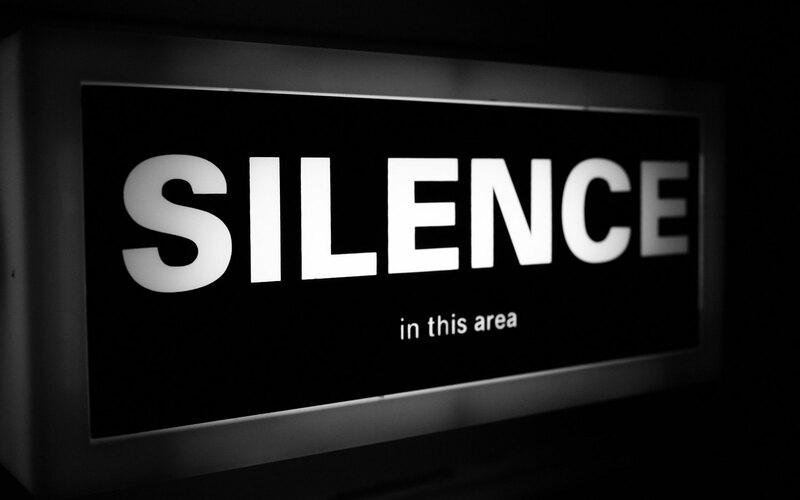 Is the best disinfectant for imposed silence a robust review and education of the facts? To paraphrase Edmund Burke, all that is necessary for evil men to be allowed to rewrite history and the facts is for their obfuscation and lies to be met with the inactivity of good good men. When we see someone in office trying to hide the truth, should we all be lil’ Babs? As of November 6, 4:00 AM EST.